The European Patent Convention (EPC) is routinely being trampled on by Team Battistelli, so what do they care amidst an organisational coup? THE following open letter was circulated earlier this week and we wish to reproduce it below. This is not the first time Battistelli breaks the rules (including his own rules) and gets away with it, just like a classic tyrant in a rogue institution/state. You are planning to merge DG1 with DG2-Patent Administration whereby for as yet undisclosed operational reasons you intend to appoint yourself three “Chief Operating Officers” (COOs, the so-called “Super-PDs”) to lead this enlarged DG1. In the vacancy notice, it is stated that “[e]ach of the COOs will report directly to the President” and that the contract period will be for five years (renewable). We infer from this that firstly the COOs will not be under the authority of a Vice-President, and that secondly these arrangements are for the medium to long term (not transitory). Consequently, you have now requested the CSC to nominate members to the Selection Boards for these three new Chief Operating Officer positions. 1. The functions of the enlarged DG1 (and in particular the Receiving Section, the Search Divisions, the Examining Divisions and the Opposition Divisions) fall squarely within the ambit of Article 15 EPC. 2. According to Rule 9(1) EPC, the departments specified in Article 15 shall be assigned to a Directorate-General. 3. 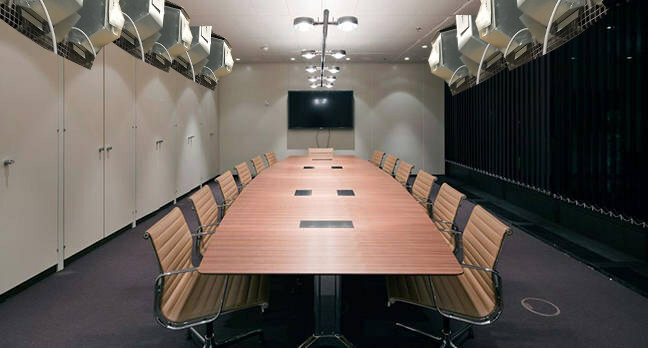 According to Rule 9(2) EPC, each Directorate-General shall be directed by a Vice-President. 4. According to Article 11(2) EPC, the Vice-President is appointed by the Council after consultation of the President of the Office. Ergo, in accordance with the EPC, the functions of the future enlarged DG1 must remain in a Directorate-General under the leadership of a Vice-President appointed by the Council. The EPC does not allow the creation of COO posts to replace VP1. In addition, we note that to date the procedure laid down in Article 1(1) of the Implementing Rules of Article 7 ServRegs has not been followed, and its deadlines have not been respected. If the Office wishes to follow a different procedure than that laid down, then the Codex must be changed first. We respectfully submit that the Council ought to be alerted promptly, so that they can look for a new VP1 capable of taking up the considerable challenge of leading such an enlarged DG1 comprising more than 5000 staff members. In addition, we respectfully suggest that you coordinate your plans with the Council as soon as possible, to obtain a “green light” for your amended procedures. Please let us know at your earliest convenience when this is done, so that we can then proceed with any necessary nomination. For abundant precaution, we must advise against giving any impression that the EPC may be disregarded without consequence. Such a sign could legitimately be used to question the validity of the EPO’s work. The CSC presently consists of 8 full and 7 alternate members, because two have resigned in December 2014, one has been dismissed in January 2016 (against the recommendation of the Disciplinary Committee), one resigned as of October 2016, one has been further dismissed in November 2016 and one refused replacement of a full member since November 2016 and a further one since December 2014 against Article 7(3) of Circular 355. Furthermore, one member of a LSC has been dismissed and a further full member of the CSC has been downgraded in January 2016 (against the recommendation of the Disciplinary Committee). In fact, the Office has launched investigations and disciplinary procedures against several other Staff representatives as well, affecting negatively their health. THE attempts to ‘scandalise’ (political tactic) or outright oust Michelle K. Lee have apparently not ended. 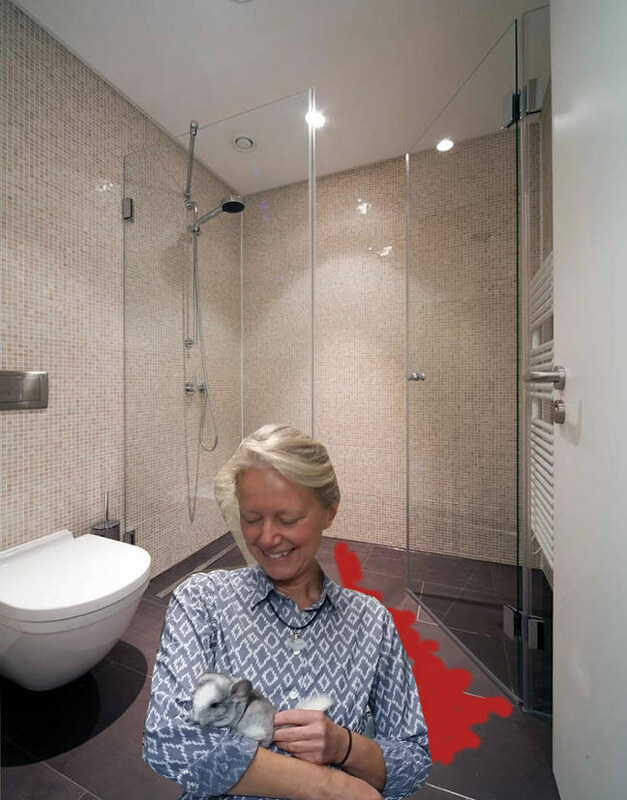 The patent microcosm has floated many theories about it and tried to cast doubt on Lee’s leadership for several months, even while she publicly appears in Battistelli photo ops (EPO propaganda from yesterday). 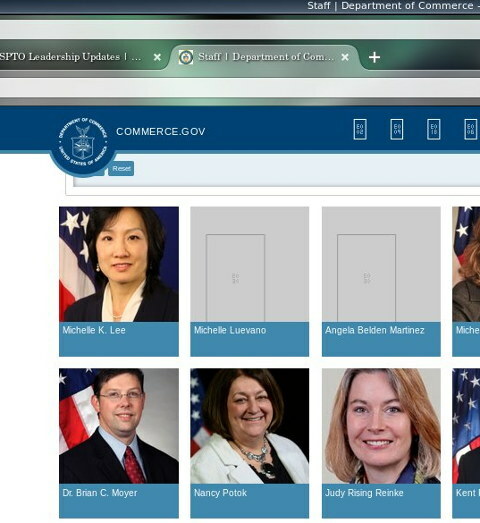 Michelle Lee remains at the top as Director of the USPTO and Undersecretary of Commerce. As one of the few political-appointee holdovers from the Obama administration, Lee’s position remains somewhat tenuous, but I expect that it will be solid for at least several months. One noticeable gap is that the Commerce Dep’t website still fails to indicate Dir. Lee’s position. But, if confirmed, Delrahim would arguably have the most IP experience of anyone who has ever led the DOJ’s antitrust unit. Over a career that has seen him make the typical switch between public service and private practice, Belrahim has worked on IP issues at the domestic and international trade levels, building a track record that earns him broad bipartisan respect. During the George W. Bush administration, he was a member of the Antitrust Modernization Commission which made a number of recommendations around the overlap of patents and antitrust; while before joining the Trump transition team, Delrahim worked as a lobbyist in private practice at Brownstein Hyatt Farber Schreck where his clients included Qualcomm. Early in his career, he also worked at the National Institutes of Health (NIH) where he was detailed to work as the deputy director for IP rights at the Office of the US Trade Representative. They are trying to influence promote ‘their’ people, i.e. patent maximalists. Never forget the agenda (and funding sources) of sites like IAM. They don’t want what’s good for science and technology but what’s good for patent profiteers. SOME of the loudest EPO critics are farmers who bemoan patents on living things (pigs, seeds, etc.) — possibly an issue to receive more media attention now that a German company owns Monsanto (Carlsberg of Denmark, for example, now wants patents on crops and actually receives these). So the EPO is scrambling to construct a misleading, inverted narrative. The above is not the first of its kind; we covered such examples before. 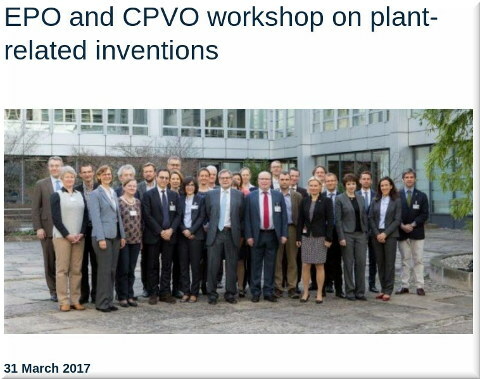 Technical and legal experts from the EPO and the Community Plant Variety Office (CPVO) gathered for a second joint workshop to exchange information on plant-related patents and plant variety rights. 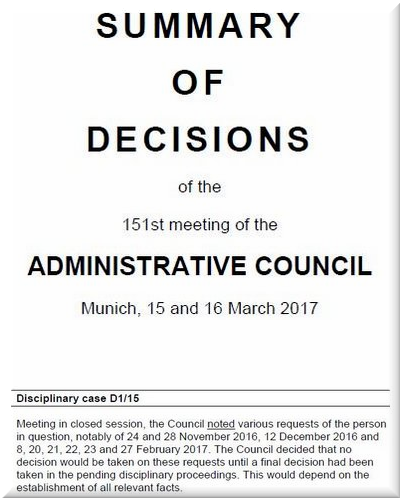 The event, which took place at the EPO’s headquarters in Munich on 30 March, was organised within the framework of the Administrative Arrangement signed between the two organisations in February 2016. The agreement aims to strengthen bilateral co-operation between the EPO and CPVO and to increase transparency through the exchange of information. We don’t know to what degree (if any) the Community Plant Variety Office represents the interests of farmers, gardeners etc. We have not yet researched the subject thoroughly, but the EPO certainly uses CPVO quite a lot for PR purposes. We don’t even know if CPVO represents the interests of Europeans, including more agricultural economies than Germany’s. CPVO is French and it seems to be associated with monopolies. Wikipedia says “[i]ts task is to administer a system of plant variety rights, also known as plant breeders’ rights, a form of intellectual property right relating to plants.” Patents are not properly and ascribing to them terms like “intellectual property” says quite a lot about the agenda. Plants have existed far longer than humanity. To quote further from Wikipedia: “The CPVO’s budget is principally derived from PVR application fees paid by breeders who wish to protect their creations.” As if humans “created” nature and are “protecting” it by taxing everyone for this supposed “creation”. Sounds like something out of Monsanto’s playbook. “We don’t know to what degree (if any) the Community Plant Variety Office represents the interests of farmers, gardeners etc.”We ought to remind readers that Germany is becoming a hub for patent trolls, hence law firms. It is a host to the EPO and it makes a whole lot of money out of it. Merkel’s government seems to be pursuing the UPC as another cash cow for Germany (litigation) and this is why we suspect the German media remains silent on many of the scandals, including the above. Even if the corporate media understands that something is ethically wrong, it’s still perceived as beneficial to Germany. Perks for some local firms, notably law firms and those servicing them, are of no use to other countries. It’s like in parts of Texas (which ‘eats’ the US economy in patent courts that are infested with patent trolls). This morning we saw this new press release from “Munich, Germany” and it serves to reinforce this idea that it’s mostly Germany benefiting from the EPO, in the same way Germany benefits a lot from the EU. We don’t wish to deviate away and veer into subjects like the EU (EPO is not an EU-affiliated institution, unlike EU-IPO) but simply to highlight possible explanations for that “conspiracy of silence” among German publishers. YESTERDAY evening we published this leak which showed the poetic injustice against a judge (we never missed the irony of this scenario). The EPO‘s management is abusive enough to have “miscarriage of justice” even against judges. Anywhere else it’s unheard of, except perhaps in Turkey and in the US after Trump’s inauguration. Saying the truth about justice is some kind of a (thought) crime now; upholding the law is an offense. What has the EPO sunk to? There is not even separation of powers anymore. Today (this morning) two more comments showed up and at least one of them is buried deep inside a very old thread, so we reproduce it below. So the AC has decided that the fate of the suspended judge “would depend upon the establishment of all relevant facts”. But how are those facts going to be established if the President keeps preventing the Enlarged Board of Appeal from establishing them? In essence, the sole effect achieved by the President’s interference in the “judicial” proceedings is the advancement of his agenda: to prevent independent scrutiny of the “facts” upon which the allegations against the suspended judge are allegedly based (and the manner in which those “facts” were obtained); and to prolong the suspension without (fair) trial. All this means is that, in addition to failing to sanction the President for his unwarranted interference in the judicial proceedings, the AC has now effectively “rewarded” the President for his interference. It looks like the AC, following in the President’s footsteps, is effectively saying farewell to the rule of law. It is also confirming that the Enlarged Board of Appeal was right to fear that the AC would side with the President… meaning that the President’s thinly-veiled threats to the Enlarged Board really were an unforgivable attempt to interfere with the independence of the judiciary. Presumably a majority of representatives to the AC agreed with the decision not to terminate the disciplinary proceedings against the suspended judge (or not to at least reinstate him until the facts can be independently established). And if a majority was required for the AC to reach such a heinous decision, what does this say about the current state of that supervisory authority? Not only should every last one of the representatives that supported this decision be thoroughly ashamed of themselves, but we need to know who they are… so that we can start asking them some questions. And since the DG3 member has no influence on the timing of the steps of the procedure, he has no chance to get the eBoA to actually speak him free. He can go nowhere, as national judges “have no jurisdiction”, the internal procedure is “still running” (ILOAT will decline any judgement), the AC and the president are not willing to proceed the procedure, and the eBoA cannot do anything out of its own volition, as there is no case before the eBoA currently. Another perfect example of “the internal remedies available to staff are sufficient, therefore national judges need to uphold the immunity and have no jurisdiction”. But then, there’s “only one” “human” affected, who is overpaid anyway. Really wondering why the leftish anti-Europe papers are not picking up on cases like this, but then the DG3 member is not allowed to defend himself publicly, while the office slandered his name publicly as Nazi (despite not having delivered any proof, as noted by the eBoA). I wonder how anyone can think the EPO and its employees do follow the EPC if its management and supervising organ are so obviously violating the EPC again and again. Despite all the words in favour of a strong Europe, someone is set on destroying it from within. The fallour in the public opinion will strengthen the anti-Europe sentiments, which should not be in the interest of the EPO. 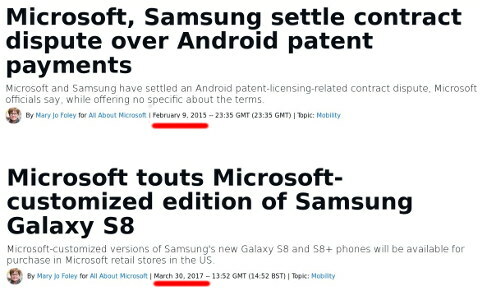 This is really interesting. It is quite possible, even probable, that Battistelli is planning to stay a lot longer than 2018. The Council thinks he will go, but they have been fooled before and Battistelli knows he can fool them again. That would also explain that “strange” structure that is planned to replace Minnoye. 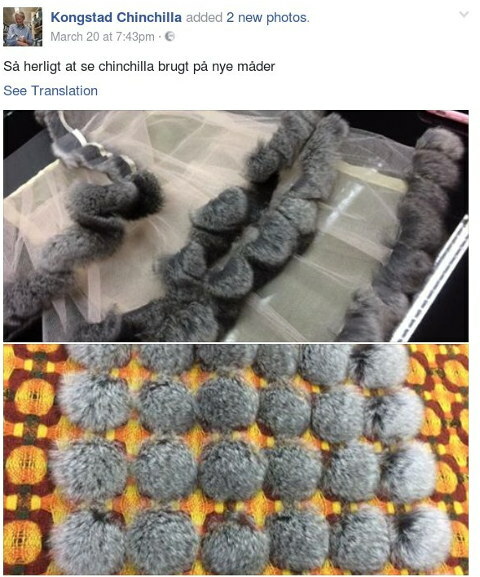 Here again, the council thinks it is a temporary measure but that is a classical trick which is taught at the ENA: “temporary arrangements are easier to negotiate and often last longer”. This has implications for SUEPO (and techrights…) as well.